2009 Normandie - James W. Lett, Ph.D. 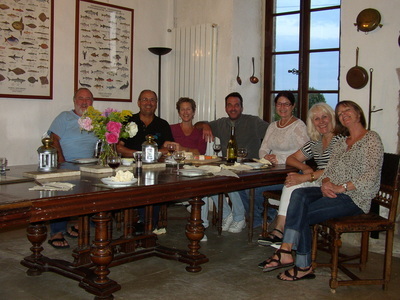 These photographs and notes are from our two-week trip in July. 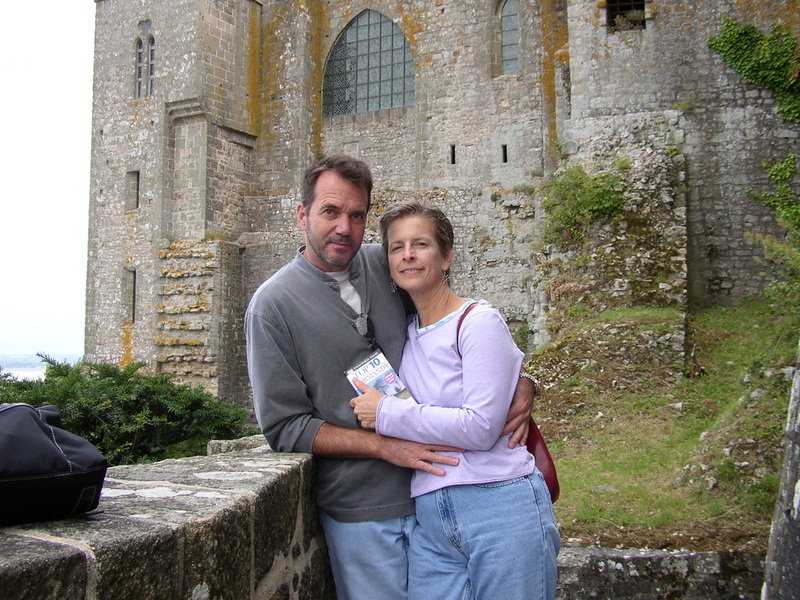 We flew into Paris, rented a car, and made our way leisurely through Normandie, visiting Rouen, Bayeux, Mont St. Michel, and Giverny. Jumièges Abbey was founded by Saint Philibert in 654. It expanded considerably over the centuries, although its development was interrupted by Viking invasions between 841 and 940. 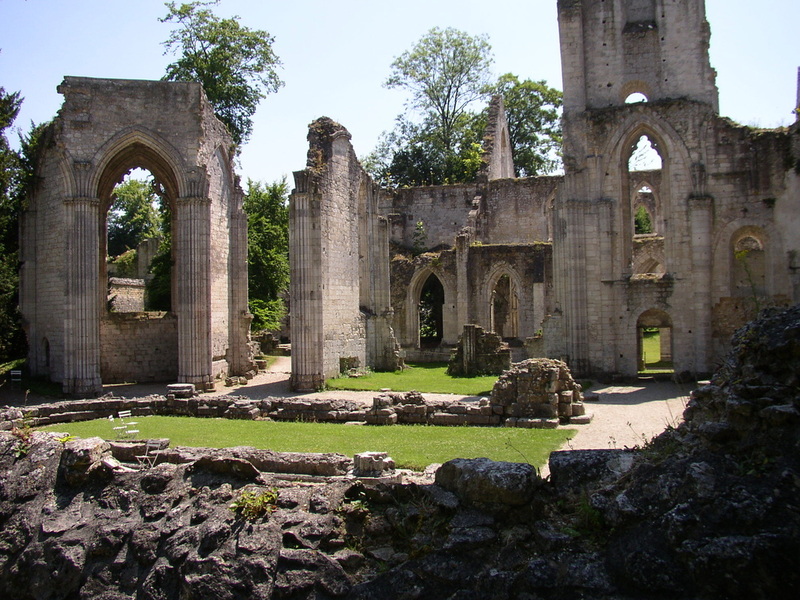 Following the French Revolution, the abbey was converted into a stone quarry, and many walls and buildings have disappeared. 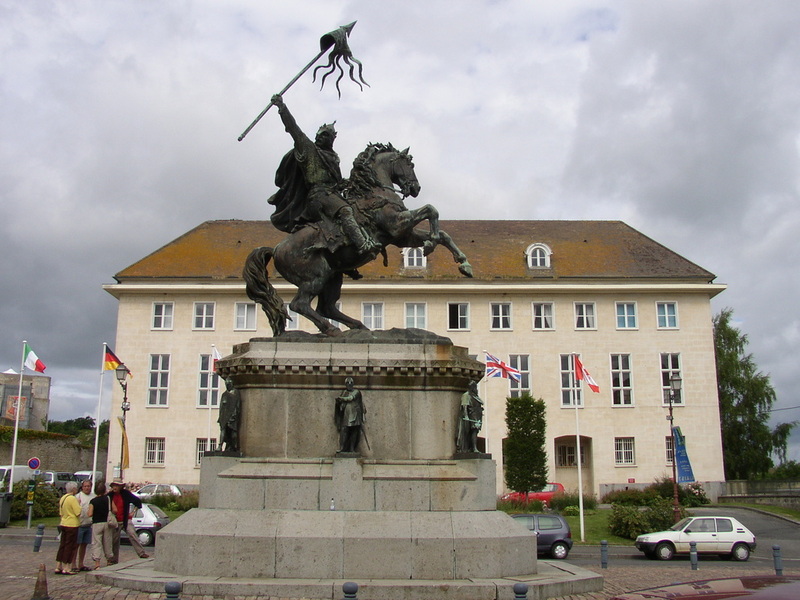 It was purchased by the French government in 1946, and since that time it's been maintained as an historic site. Jumièges Abbey wasn't crowded the day that we visited, and we enjoyed exploring the ruins, taking paths that the ancient monks wouldn't have been able to take when the walls were still standing (and imagining that they would have rejoiced at the opportunities for escape). 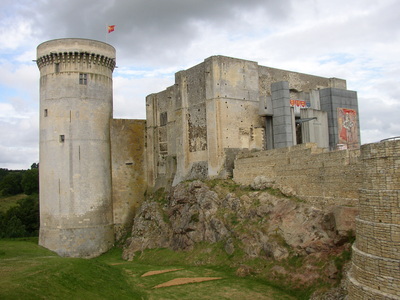 The Château Guillaume-le-Conquérant in Falaise was the birthplace of William the Conqueror in 1027; nine centuries later, it was the site of the decisive Battle of the Mortain-Falaise Pocket in August 1944. The 19th century equestrian statue of William the Conqueror dominates the main square of Falaise, and it's an impressive piece of sculpture. 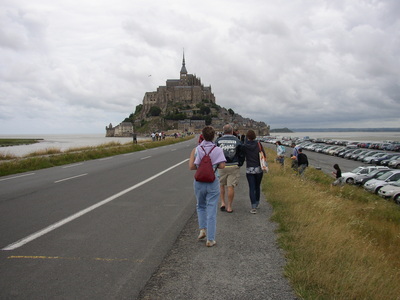 Mont St. Michel is one of the most popular tourist destinations in France, and there were thousands of visitors clogging the narrow alleys and passageways the day we were there. 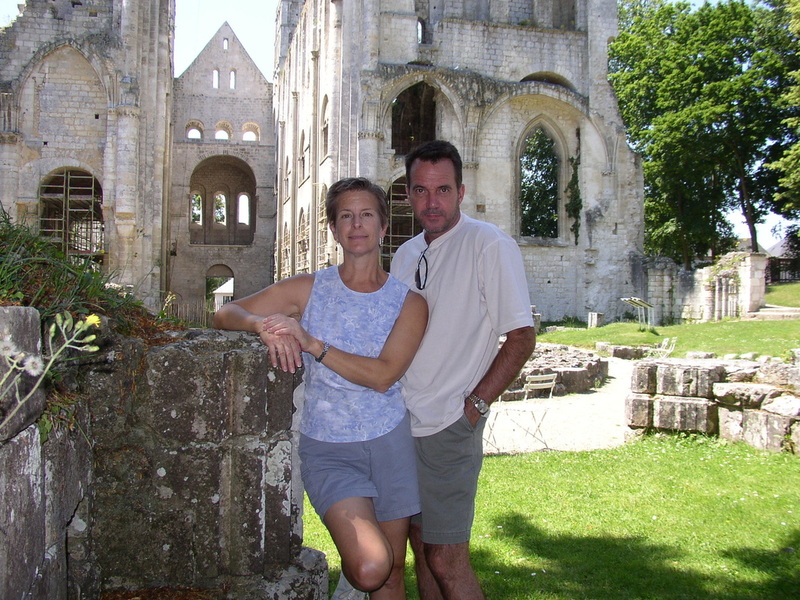 The origins of the abbey date to 708, and it's in a remarkable state of preservation. The self-guided walking tour of Mont St. Michel winds through a huge labyrinth of beautiful stone rooms--it's not quite enough to make you think that there might have been something attractive about being a monk, but it's close. This is the garden at Claude Monet's house in Giverny, a small village located north of Paris; Monet first glimpsed it through the window of a train when he was traveling between Vernon and Gagny in 1883. 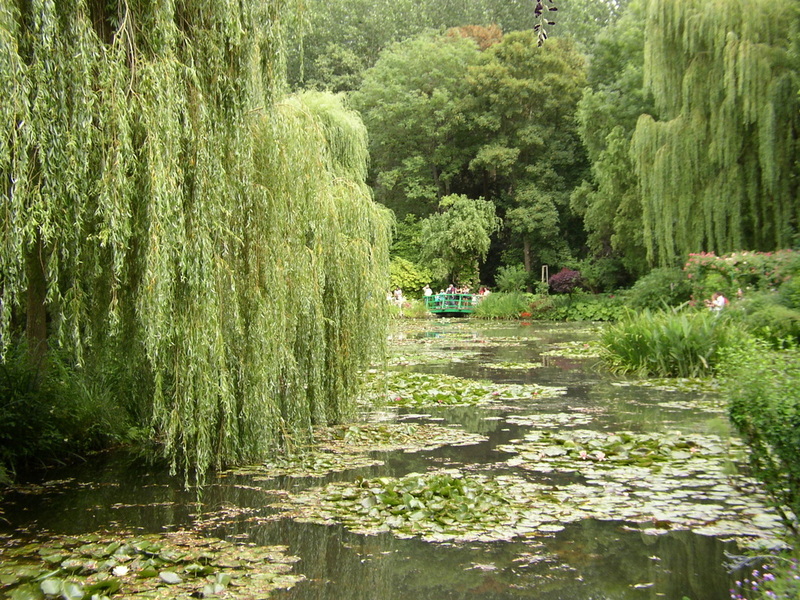 The house and gardens fell into disrepair following the artist's death in the early 20th century, but they were restored to their original condition between 1977 and 1980 by the Académie des Beaux-Arts. The lily pond at Monet's house in Giverny is instantly recognizable to anyone who's ever glimpsed his iconic paintings. Located on the edge of the medieval town of Domfront, this ruined castle overlooks the Varenne River. 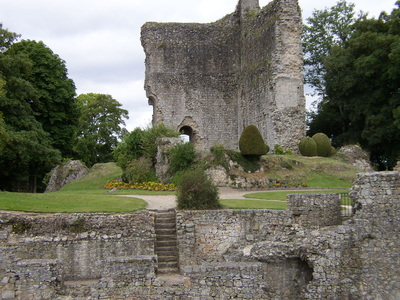 The stone keep and chapel date from the time of Henry I, the third son of William the Conqueror who was lord of Domfront from 1092 before becoming King of England in 1100 and Duke of Normandy in 1106. The modern city of Domfront has several houses dating back to the 16th century, as well as the remnants of walls and watchtowers that date to the 11th through 13th centuries. We spent a week in this fabulously historic building. 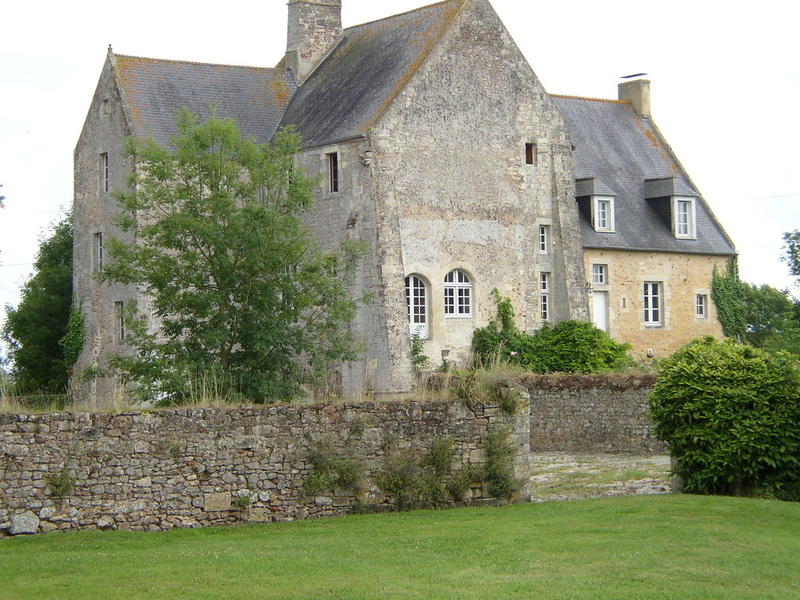 The older part of the Chateau de Neuilly la Foret was built between 1074 and 1077 by Odon de Conteville, the Bishop of Bayeux and the half-brother of William the Conqueror. During the Hundred Years War, the chateau was captured by the English and occupied by an English garrison from 1418 to 1449. Only a third of the original Norman chateau remains, and the house has been thoroughly modernized. 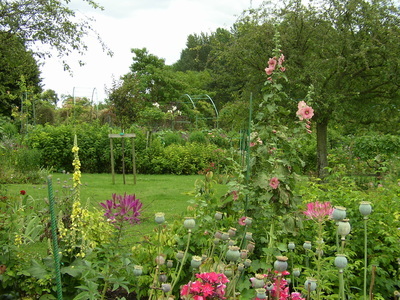 It sits in a lovely rural area just outside the small village of Neuilly la Foret. This was the large eat-in kitchen at the Chateau de Neuilly la Foret, where we hosted some of our closest French, British, and American friends.